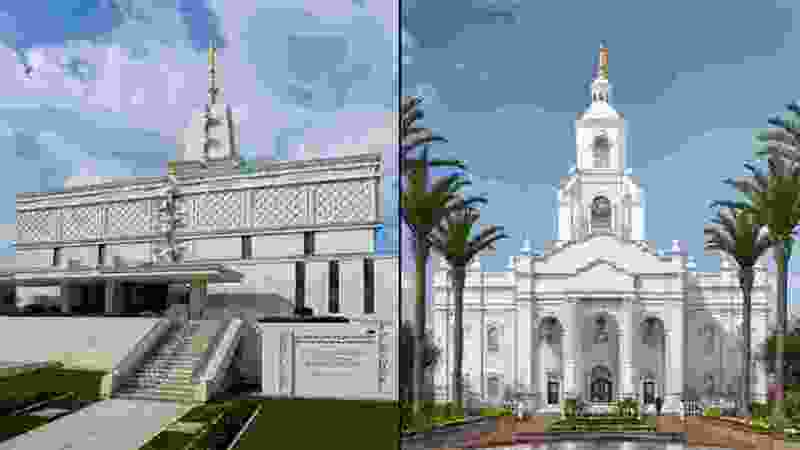 (Courtesy | The Church of Jesus Christ of Latter-day Saints) The Mexico City Mexico Temple and the rendering of the Tijuana Mexico Temple in 2015. 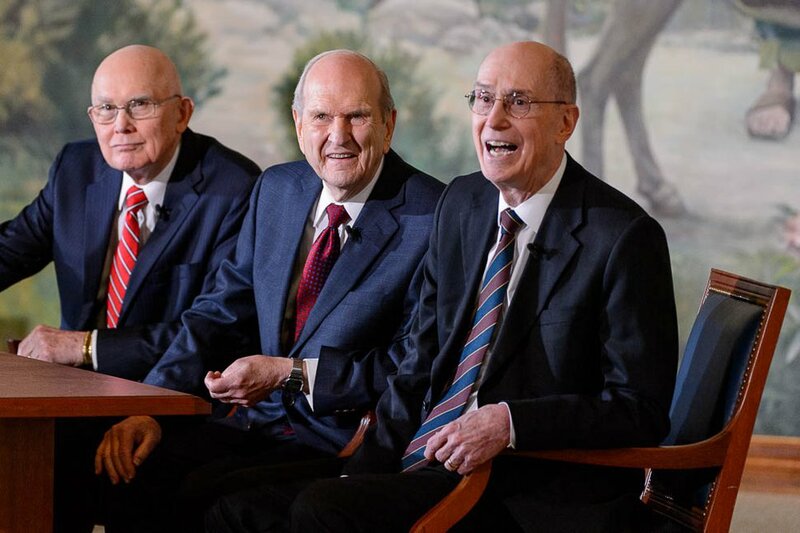 (Trent Nelson | The Salt Lake Tribune) Dallin H. Oaks, Russell M. Nelson and Henry B. Eyring at a news conference in the lobby of the Church Office Building in Salt Lake City, Tuesday. Jan. 16, 2018. Nelson was named the 17th president of the 16 million-member Church of Jesus Christ of Latter-day Saints. Oaks was named first counselor in the First Presidency and Eyring second counselor. If the church seemed dormant during the waning years of enfeebled President Thomas S. Monson’s tenure, that perception ended in 2018. This week, we recap the historic headline-making year with an eye to 2019. Listen here. 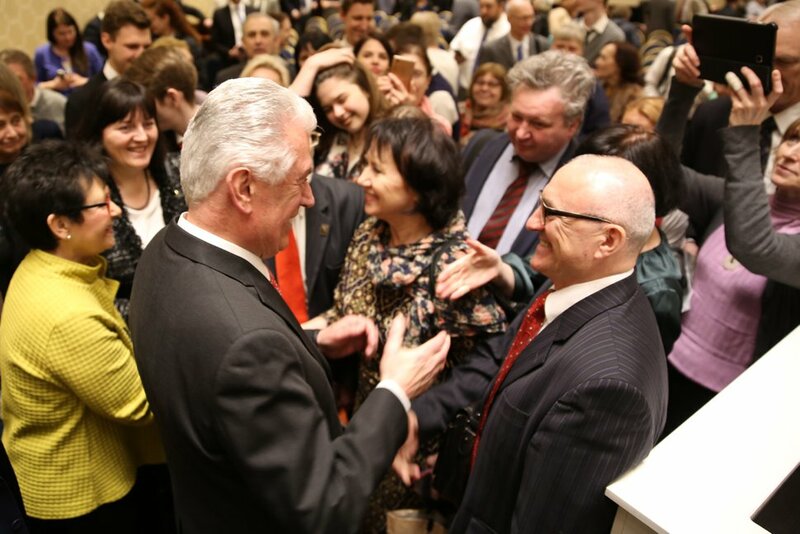 (Courtesy | The Church of Jesus Christ of Latter-day Saints) Elder Dieter F. Uchtdorf of the Quorum of the Twelve Apostles and his wife, Harriet, greet Latter-day Saints in Moscow, Russia, April 22, 2018. What’s the status of mission work, er, uh, “volunteer” work in Russia? In April, President Russell M. Nelson announced plans to build the church’s first Russian temple. At this point, though, that effort may be more aspirational than operational. Apostle Dieter F. Uchtdorf visited Moscow soon after the spring General Conference and tamped down expectations that a House of the Lord would be rising anytime soon in Russia. (Chris Detrick | The Salt Lake Tribune) Visitors look at Christmas lights on Temple Square on Friday, Nov. 24, 2017. 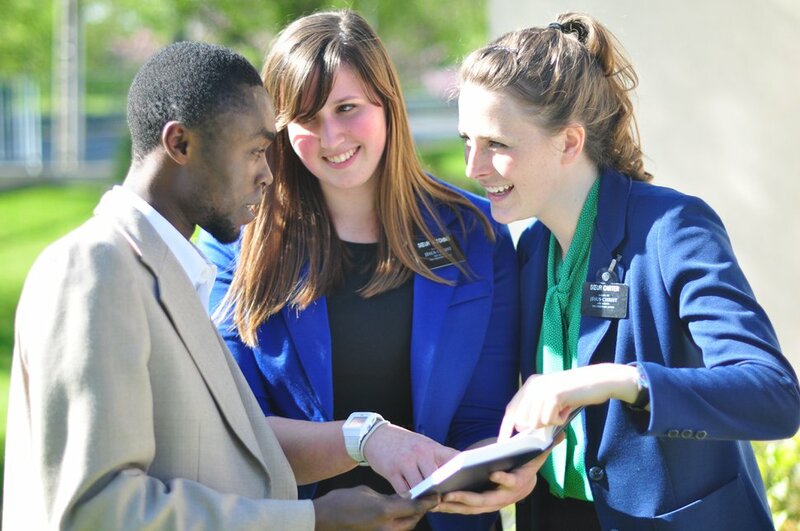 Women — and men — are embracing the sweeping changes implemented this week at the faith’s 161 temples across the globe. Count on temple attendance to skyrocket in the coming days and weeks as members rush to witness the changes for themselves. 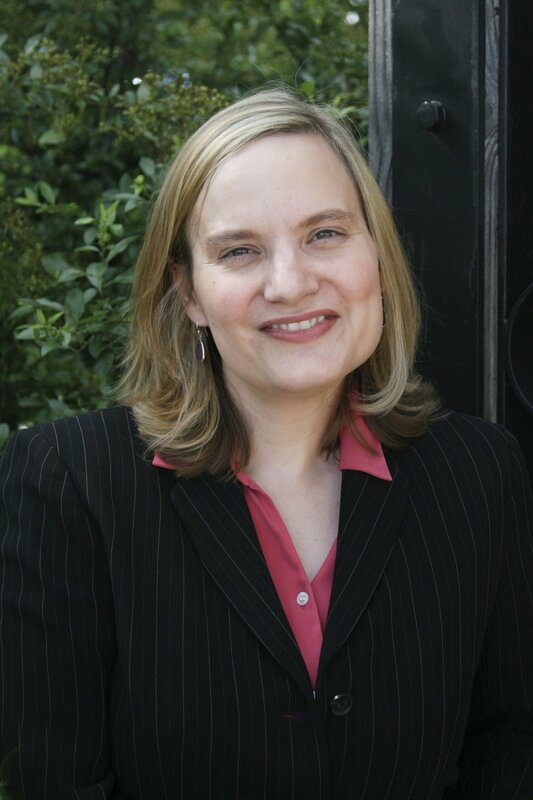 By Common Consent blogger Cynthia L. pays tribute to the women who helped pave the way for the temple changes with a list ranging from the faith’s first “first lady,” Emma Smith, and trailblazing black convert Jane Manning James to former Relief Society leader Chieko Okazaki and poet Carol Lynn Pearson. The tally “is not and never could be an exhaustive honor roll,” writes Cynthia L., encouraging commenters to add other names to the lineup. “For my sisters,” she concludes. “I am thankful for the sacrifices and work of all of you. 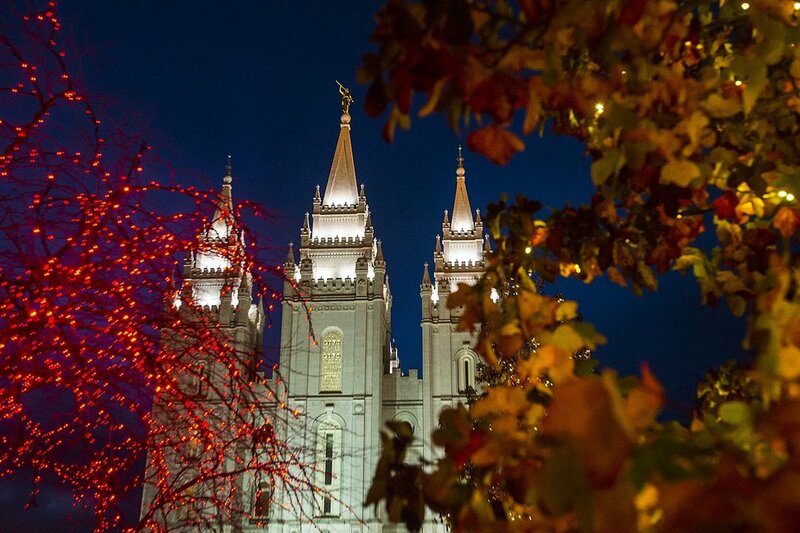 Jana Riess, the RNS columnist, also accepted President Russell M. Nelson’s challenge and undertook a social media fast over her yuletide break. She welcomed the respite and made two surprising discoveries. Read what she learned here. (Courtesy | The Church of Jesus Christ of Latter-day Saints) The Mexico City Mexico Temple in 2015. 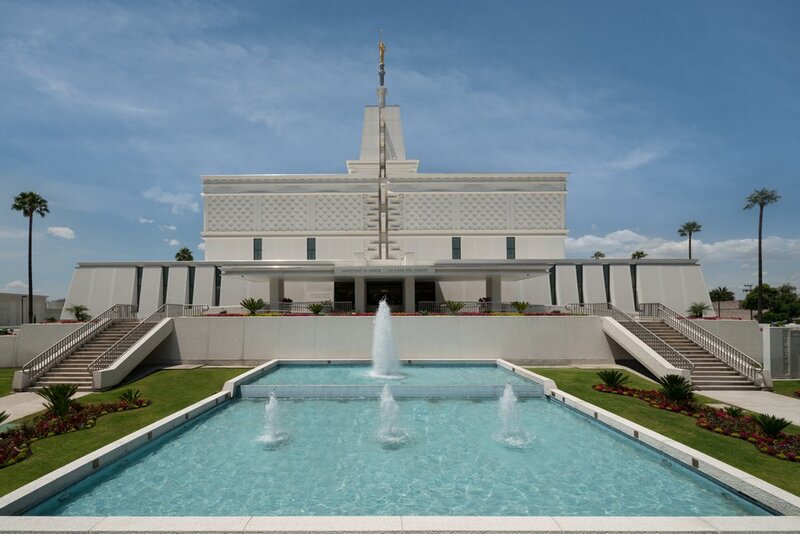 Mexico — with more than 1.4 million members, the most of any country outside the United States — is seeing its Latter-day Saint footprint expand and contract at the same time. Recently, according to independent demographers, two new stakes and two new districts were created there while another stake was eliminated. The number of missions around the world will fall from 407 to 399 in July. While the church announced this week that four new missions will be created — in Guatemala, Peru, the Philippines and the Democratic Republic of the Congo — a dozen will be merged with other missions, including three in California and five in other U.S. states. As a Latter-day Saint and returned missionary, Dan Reynolds certainly knows about — and has lived — the church’s Word of Wisdom health code. But the Imagine Dragons frontman also has discovered a new workout and dietary regimen that has helped him overcome an inflammatory disease and transform his body from “skinny-fat to shredded,” Men’s Health reports. “Tomorrow is my 50th wedding anniversary with my eternal companion, Karen. I have been eager for some of these adaptations for many years, and I praise God that they occurred." Bruce Van Orden after attending a temple in Provo.